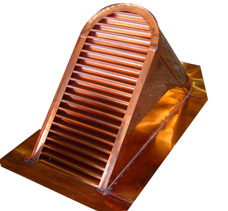 Copper dormer vents add value and protective performance to your home. Copper dormer vents are one of the easiest ways to provide proper ventilation to your roofing system. Copper dormer vents add classic sophistication other materials can't match. 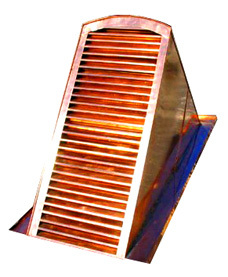 Copper dormer vents, also reffered to as louver vents, are manufactured in a variety of shapes including triangular, rectangular, and round. They can be customized to meet the architectural requirements of the structure and style of your home. 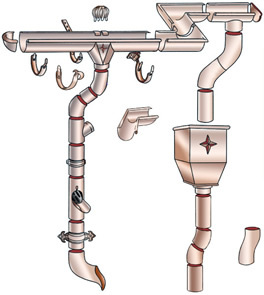 Most copper dormer vents are custom built to meet the exact specifications of your home. This type of detailed craftsmanship adds elegant beauty and value to your home.